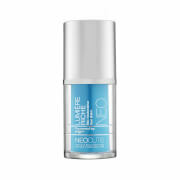 This ultra light gel helps to reduce puffiness, dark circles and fine lines. 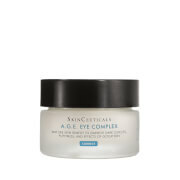 Reparative Eye Complex absorbs instantly and leaves the eyes feeling bright and refreshed. 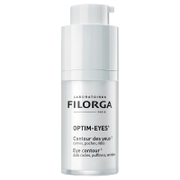 Reduces lines, puffiness and dark circles. Helps to fight off free radical damage. Gently apply a small amount to the eye contour area. Recommended for morning and evening use. Water, Hydrolyzed Wheat Protein, Pentylene Glycol, Glycerin, Arnica Montana Flower Extract, Ceratonia Siliqua Gum, Hydrolyzed Casein, Triethanolamine, Sorbitol, Acrylates/C10-30 Alkyl Acrylate Crosspolymer, Gellidiela Acerosa Extract, Hypnea Musciformis Extract, Sargassum Filipendula Extract, Aesculus Hippocastanum (Horse Chestnut) Seed Extract, Borago Officinalis Extract, Camellia Sinensis Leaf Extract, Cucumis Sativus (Cucumber) Fruit Extract, Diazolidinyl Urea, Epilobium Angustifolium Flower/Leaf/Stem Extract, PEG-40 Hydrogenated Castor Oil, PPG-26-Buteth-26, Allantoin, Glycyrrhiza Glabra (Licorice) Root Extract, Methylparaben, Morus Alba Bark Extract, Sassafras Officinale Extract, Tetrasdoium EDTA, Betaine, Propylparaben, Sodium PCA, Aloe Barbadensis Leaf Juice Powder, Chamomilla Recutita (Matricaria) Flower Extract, Ormenis Multicaulis Oil, Saccharomyces Lysate Extract, Ascorbyl Methylsilanol Pectinate, Proline, Saccharomyces/Copper Ferment, Saccharomyces/Iron Ferment, Saccharomyces/Magnesium Ferment, Saccharomyces/Silicon Ferment, Saccharomyces/Zinc Ferment, Serine, Glycine, Sodium Hyaluronate, Glutamic Acid, Lysine, Alanine, Calendula Officinalis Flower Extract, Arginine, Threonine. By far the best I cream I have ever used. I have been buying now for about about two years, maybe more. Address all the concerns I had including dark circles both below and on my eye lids, puffiness, and fine lines. When I tell people I'm almost 40 they look at me like I'm crazy! They think I'm in my late 20s early 30s! I have been using this eye treatment for over 2 years now, and I love it! I can tell if I don't use right away. It really helps soften those "laugh lines". I won't go even a day without it.